With regard to July, Now sales return or GSTR-1, purchase returns or GSTR-2 and GSTR-3 (which is the match of GSTR-1 and GSTR-2) has been extended to for July will have to be filed by 10th, 25th, 30th September. With regard to August, the date for filing GSTR-1, GSTR-2 and GSTR-3 has been extended to 5th, 10th and 15th October. Full form of GSTR is Generation-Skipping Transfer Tax. It is imposed by the United States on certain transfers by gift, inheritance, or bequest. 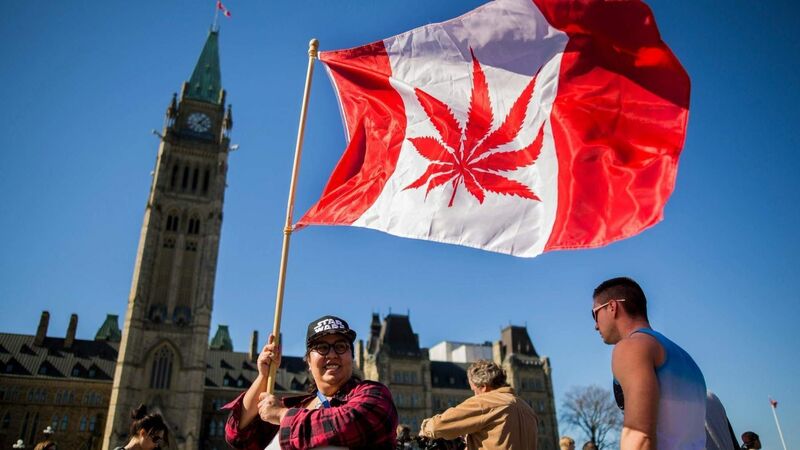 It was introduced as The Constitution (One Hundred and First Amendment) Act 2017, following the passage of Constitution 122nd Amendment Bill. The GST is governed by a GST Council and its Chairman is the Finance Minister of India. Under GST, goods and services are taxed at the following rates, 0%, 5%, 12%, 18% and 28%. West Bengal Finance Minister Amit Mitra has been named the new chairman of the empowered committee of state finance ministers that is working out the details of the proposed goods and services tax (GST). He will succeed Kerala Finance Minister KM Mani, who resigned in November over corruption charges. The reform process of India’s indirect tax regime was started in 1986 by Vishwanath Pratap Singh, Finance Minister in Rajiv Gandhi’s government, with the introduction of the Modified Value Added Tax (MODVAT). 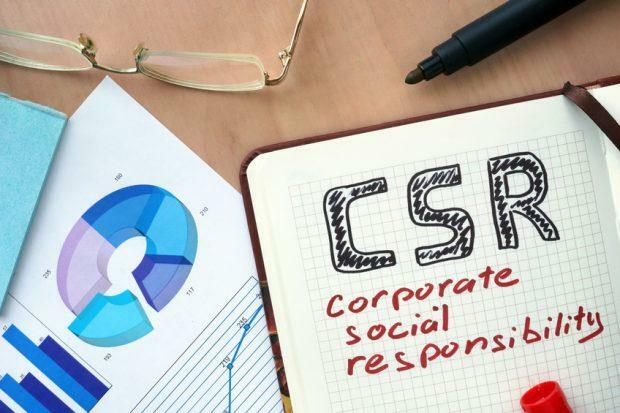 A single common “Goods and Services Tax (GST)” was proposed and given a go-ahead in 1999 during a meeting between then Prime Minister Atal Bihari Vajpayee and his economic advisory panel, which included three former RBI governors IG Patel, Bimal Jalan and C Rangarajan. Vajpayee set up a committee headed by the former finance minister of West Bengal, Asim Dasgupta to design a GST model. 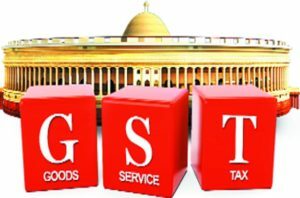 The Ravi Dasgupta committee was also tasked with putting in place the backend technology and logistics (later came to be known as the GST Network, or GSTN, in 2017) for rolling out a uniform taxation regime in the country. In 2003, the Vajpayee government formed a task force under Vijay Kelkar to recommend tax reforms. In 2005, the Kelkar committee recommended rolling out GST as suggested by the 12th Finance Commission. Seven months after the formation of the Modi government, the new Finance Minister Arun Jaitley introduced the GST Bill in the Lok Sabha, where the BJP had a majority. In February 2015, Jaitley set another deadline of 1 April 2016 to implement GST. Finally in August 2016, the Amendment Bill was passed. Over the next 15 to 20 days, 18 states ratified the GST Bill and the President Pranab Mukherjee gave his assent to it. A 21-members select committee was formed to look into the proposed GST laws. State and Union Territory GST laws were passed by all the states and Union Territories of India except Jammu & Kashmir, paving the way for smooth rollout of the tax from 1 July 2017. DBS Bank is a multinational banking and financial services corporation headquartered in Marina Bay, Singapore. The bank was set up by the Government of Singapore in July 1968 to take over the industrial financing activities from the Economic Development Board. 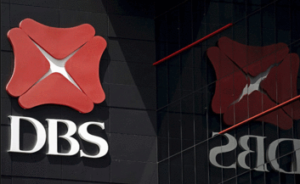 DBS Bank is the largest bank in South East Asia by assets and among the larger banks in Asia. DBS Bank (India) Headquarters is located in Mumbai. 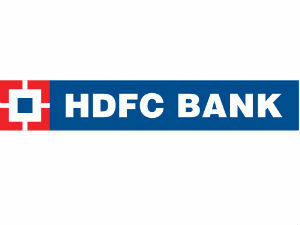 RBI has included HDFC in the list of ‘too big to fail’ lenders, referred to as D-SIB or domestic systemically important bank. India’s largest lender SBI and private sector major ICICI Bank were classified as D-SIBs in 2015. With the inclusion of HDFC Bank in the list, there will now be three ‘too big to fail’ financial entities in the country. SIBs are subjected to higher levels of supervision so as to prevent disruption in financial services in the event of any failure. The additional Common Equity Tier 1 (CET1) requirement for D-SIBs has already been phased-in from April 1, 2016 and will become fully effective from April 1, 2019. RBI declares a list of D-SIBs every year. The first list was released in 2015, in which SBI and ICICI Bank were named systemically important. Both these lenders have been designated on the basis of a systemic importance score, arrived at after an analysis of the banks’ size as a percentage of annual Gross Domestic Product (GDP). Banks with assets that exceed 2% of GDP will be considered part of this class of lenders. The selected lenders are then assessed on the four systemic importance buckets– size, interconnectedness, substitutability and complexity. The Basel Committee on Banking Supervision (BCBS) came out with a framework in November 2011 for identifying the Global Systemically Important Banks (G-SIBs) and the magnitude of additional loss absorbency capital requirements applicable to these G-SIBs. The BCBS further required all member countries to have a regulatory framework to deal with Domestic Systemically Important Banks (D-SIBs). The Reserve Bank had issued the Framework for dealing with Domestic Systemically Important Banks (D-SIBs) on July 22, 2014. The D-SIB Framework specifies a two-step process of identification of D-SIBs. In the first step, the sample of banks to be assessed for systemic importance has to be decided. The selection of banks in the sample for computation of Systemic Importance Scores (SIS) is based on analysis of their size as a percentage of annual GDP. All G-SIBs and D-SIBs with headquarters in Europe, USA and Asia are required each year to submit an updated emergency Resolution Planto their Financial Supervision Authority. Indian origin Vasant Narasimhan, chief medical officer and global head of drug development at Novartis will take over as the CEO of Europe’s largest drug maker. 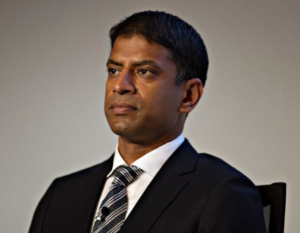 Narasimhan, a Harvard-trained doctor will succeed Jimenez from February 1 2018, Novartis said. Novartis is a full member of the European Federation of Pharmaceutical Industries and Associations (EFPIA), the International Federation of Pharmaceutical Manufacturers and Associations (IFPMA), and the Pharmaceutical Research and Manufacturers of America. KV Rama Moorthy has assumed charge as Managing Director and Chief Executive Officer of Tamilnad Mercantile Bank. 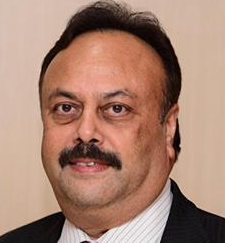 Prior to joining TMB, he was Executive Director of United Bank of India. He had also served as ED of Bank of Baroda for a brief period. He succeeds HS Upendra Kamath, whose term of three years came to an end at July, 2017. Rama Moorthy’s appointment is for a period of three years. TMB was founded in 1921 as the Nadar Bank, but changed its name to Tamilnad Mercantile Bank in November 1962 to widen its appeal beyond the Nadar community. Tamilnad Mercantile Bank Limited (TMB) is a bank headquartered at Tuticorin, Tamil Nadu, India. Tamilnad Mercantile Bank was the first private sector bank in India to introduce computerisation for branch-level operations. P R Seshadri has assumed charge as the Managing Director and Chief Executive Officer of Karur Vysya Bank. Seshadri succeeds K Venkataraman who has been leading the bank for more than six years. Seshadri, a senior banker with over 25 years of experience, started his banking career with Citibank in early 1992. He worked as a Chief Executive Officer of BFC Bank Limited, London. 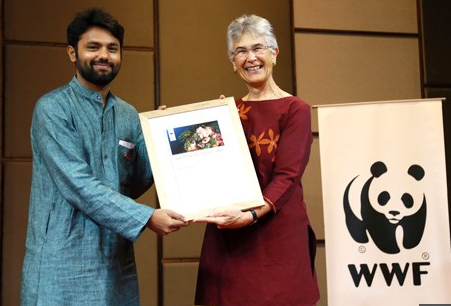 He is an alumnus of IIM, Bangalore and Delhi College of Engineering. Karur Vysya Bank is an Indian private-sector bank, headquartered in Karur in Tamil Nadu. It was set up on 25th of July 1916 by M. A. Venkatarama Chettiar and Athi Krishna Chettiar. Taiwan’s Premier Lin Chuan resigned in a move aimed at reviving dwindling public support for the government of President Tsai Ing-wen. Lin Chuan is a Taiwanese economist and politician and the current Premier of the Republic of China. 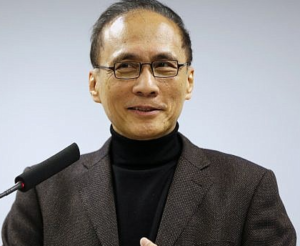 He served as Minister of Budget, Accounting and Statistics and Minister of Finance during Chen Shui-bian’s presidency. 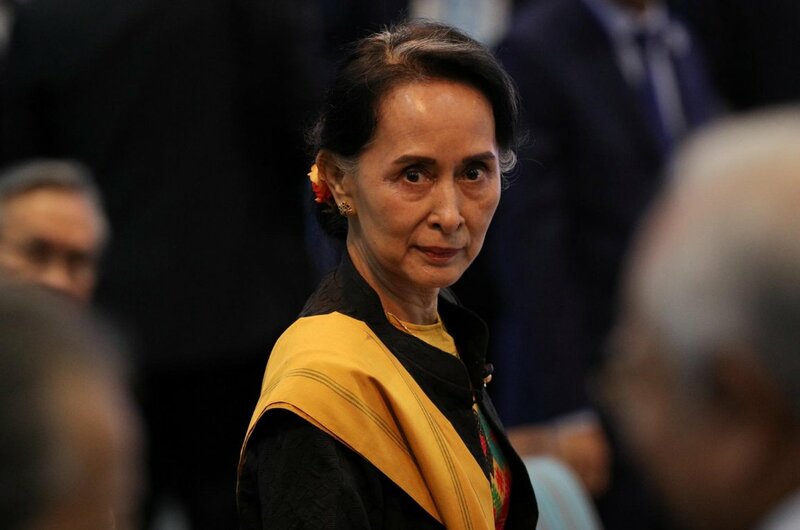 He was elected as a 48th Premier of the Republic of China. 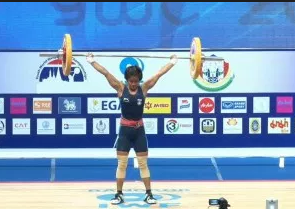 India’s Konsam Ormila Devi bagged a gold medal in 44kg weight category on the opening day of the Commonwealth Youth (boys & girls) weightlifting championships, held at Gold Coast, Australia. The Commonwealth Youth Games (CYG) is an international multi-sport event organized by the Commonwealth Games Federation. The Commonwealth Games Federation (CGF) is the international organisation responsible for the direction and control of the Commonwealth Games and Commonwealth Youth Games, and is the foremost authority in matters relating to the games. The headquarters of CGF are located in London, England, United Kingdom. The importance of weightlifting made in one of the prominent games to make a place in first modern Olympics in 1896 in Athens. But the first World Championships was held on 28th March 1891 in London where 9 countries participated with 7 athletes representing them. In 1935, the Indian Weightlifting Federation was formed. Shri Bijoy Chand Mahatab of Bordwan as its first President and Shri N.N. Bose, Barristwer-at-Law, was the first honorary Secretary in the same year it got affiliated with Indian Olympic Association and International Weightlifting Federation. In 1936 Berlin Olympic Games, Indian weightlifting team participated for the first time. Similarly, in the Asian Games India participated in 1951 held in Delhi and in Commonwealth Games in 1966 at Kingston. Indian women weightlifters competed in the World Championships for the first time in 1989 at Manchester although it started in 1987. Kunjarani Devi won 3 Silver medals and Laila Polley won 2 bronze medals. Shyamala Shetty and Chhaya Adak also won Silver medals apiece in this Competition. 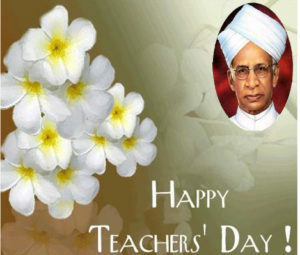 Teacher’s day is celebrated on September 5 of every year in our country. 5th September is the birthday of a great teacher Dr. Sarvapalli Radhakrishnan, who was a staunch believer of education, and was the well-known diplomat, scholar, President of India and above all a Teacher. Dr. Radhakrishnan became the President of India in 1962. Dr. Sarvapalli Radhakrishnan (5 September 1888 – 17 April 1975) was an Indian philosopher who was the first Vice President of India (1952–1962) and the second President of India from 1962 to 1967.